Use the RFMAX RFID Power Mapper to accurately map out your RFID field patterns up to 15 meters in range. 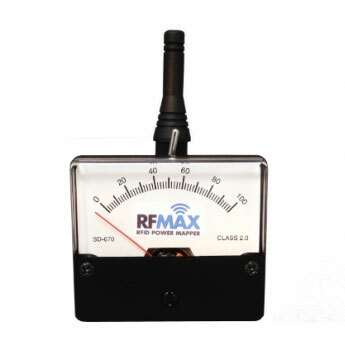 This meter helps determine where in your facility you are receiving an RF signal and how strong that signal is, making RFID deployments easier. Accurately maps RFID field pattern up to 15 meters range. Tests polarization of antennas. Linear, circular and cross polarized. Ideal for beam angle measurements. Oscilloscope output to show modulation. Detect cable faults and bad connections. PTS partners with RFMAX and has direct access to RFMAX engineers which can work quickly to resolve any unforeseen issues.